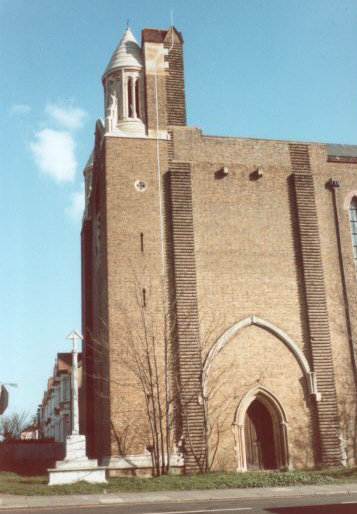 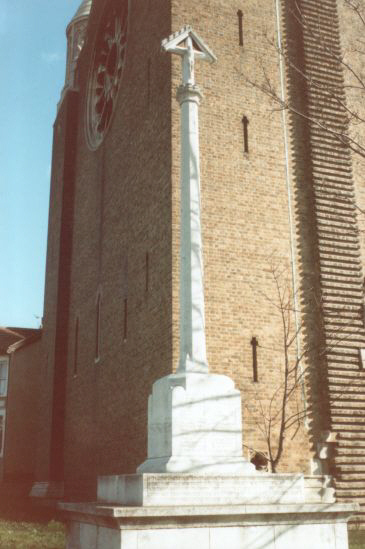 The war memorial stood just outside and to the left of the main south doors of St Erkenwald's. 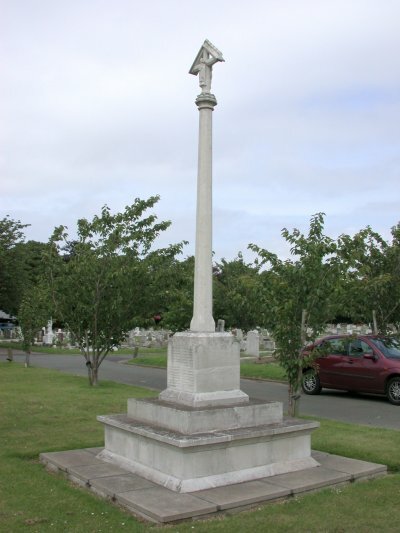 Demolition had commenced before rescue of the war memorial started. 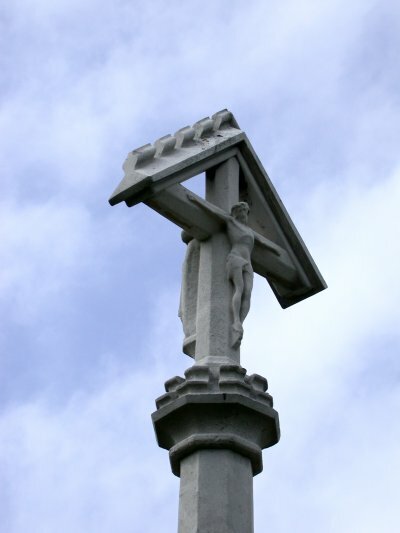 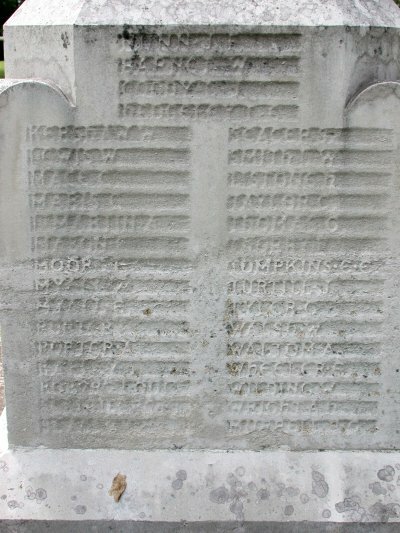 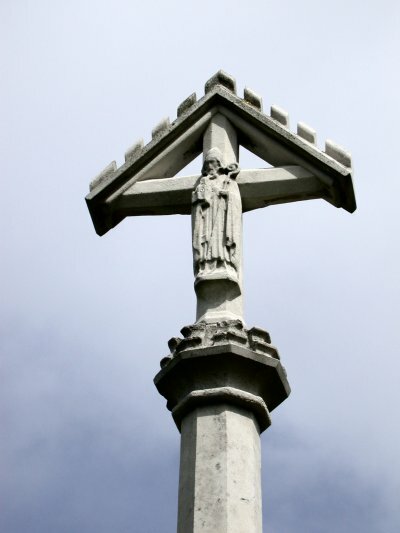 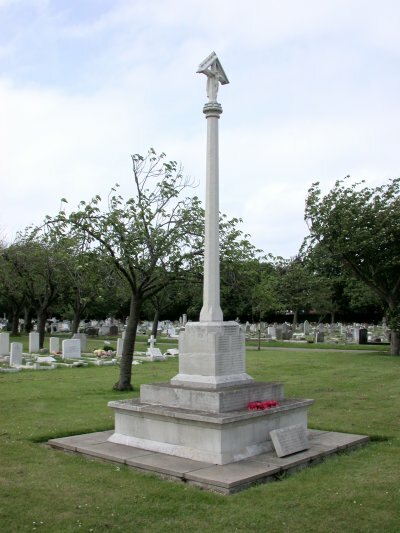 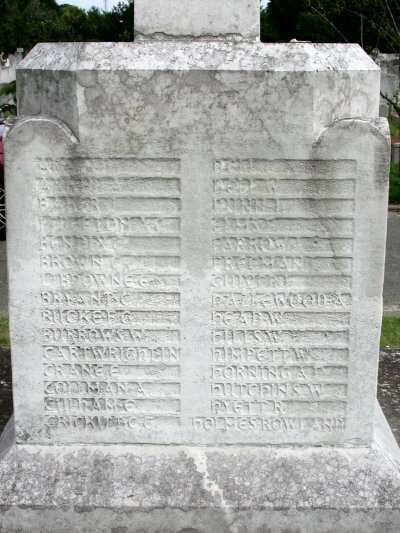 Fortunately, it was saved before any damage was done, and it now stands, as a permanent memorial in Southend's main cemetery, in Sutton Road. 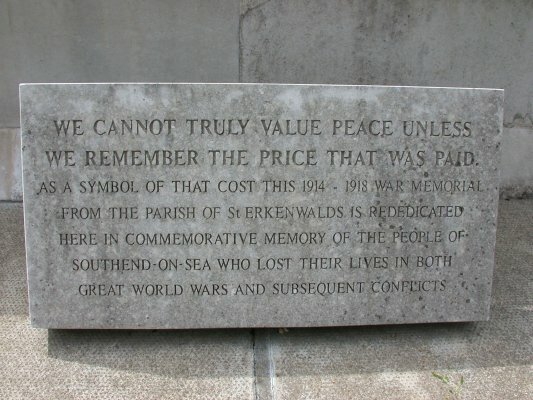 These images courtesy of St John's Church, Southend.